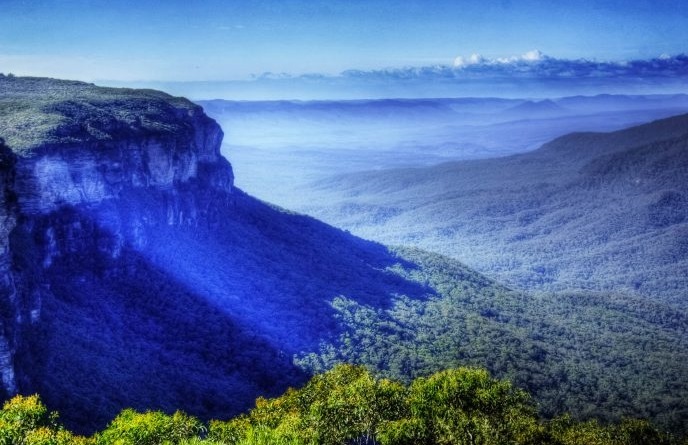 The Blue Mountains are known as the mountainous region. It is located in New South Wales, Australia. We reach there in less than two hours from Sydney by car. Greater Blue Mountains have the great and most spectacular experiences of natural parks. There we enjoyed the enormous variety of activities because it is a great place for adventure seekers nature lovers to enjoy. We loved the bushwalks and gain high levels of experience. We have experienced fresh mountain air there, which gave use the pleasure, however, Blue Mountains is now said to be the best for exploring nature. There we enjoyed, three Sisters at Echo Point at the time we reach, after that, we had day spas that were amazing and after that, we played golf, which gave us pleasure. We watched galleries, did tasty dining and bushwalking. Thus, I could say that it is the romantic getaway and an ideal destination in the Mountains of the world, where there is the perfect lifestyle and it’s providing the relaxing environment. We have asked the TripAdvisor community, before going to the Blue Mountain Resort, there are lift ticket costs and have the most up-to-date prices; they also offer deals and discounts so we do not find it much expensive. Three Sisters mountains were best there as locates in the Echo Point Katoomba, they are best to grasp the iconic visitor attraction because it has the formation of unusual rock formation, however, there are magnificent colors that can attract the people or visitors. Katoomba heritage and art walk were interesting because there was the traditional shopping and the place share the history, the art shows the breath-taking culture and the leisurely pace. Moreover, architectural styles are amazing that has miners cottages thinking’s of the 1800s and the memory if ‘Federation’ of Australia in 1901. The wet weather activities have the magic of unforgettable time in the Blue Mountains atmosphere because, like us, one can really enjoy the weather and unique shopping together. Moreover, nobody mind there of getting wet the walks because it has the spectacular experiences and the rainforest walk, in the rain was truly magical. We started the tour of Aboriginal Blue Mountains Walkabout in the next morning, as there is the natural beauty in the World Heritage of the country Sydney. Moreover, the place was joyful because it has the creation stories and has the spiritual meaning, the secluded forests were amazing and there was challenging off-track walk that we enjoyed a lot. River Deep, Mountain High gave us amazing experience, because the mountain biking and rock climbing was joyful there, bushwalking and photographic safaris is very enjoyable, moreover there are wheel drive tours, which we unable to do, but if someone visit the place then should do prefer wheel drive, as people were enjoying there. The empress falls are amazing and have really stunning canyon and seem pleasurable in the morning because the beauty of nature can be seen, one could enjoy perfect full day adventure there. It is located at a site near Katoomba, its heights range is between 3-25m. What time of year is best for the Blue Mountains? The Blue Mountains can be enjoyable and comfortable for every month of the year because people could enjoy the beauty in every season; people over there are very welcoming. Thus, I would prefer you to go in summer, autumn and spring because these three seasons can provide you with the pleasure, however, winter could be cool, and so it is better to go in mentioned weathers. Blue Mountains have so many tasty foods, as I enjoyed food of Jannie Artisan Cheese Makers and Bakehouse on Park. However, the tastiest food was of Hydro Majestic afternoon high tea because there were panoramic views and it was the best in iconic historical hotels. There were charming artworks and the staff gave us options that if we would like vegetarian and gluten-free food. I would prefer Rose Lindsay cottage – Falconbridge for accommodation, as it is luxurious, wonderful and offer the private places, we enjoyed there because of the open fire and best king-size spa bath. We stay enjoyable and comfortable there. IN the morning, they offered us generous breakfast and then generous continental lunch, we enjoyed the hospitality.